« Maggie Sottero Flash Sale! Back by popular demand, we are featuring Morilee by Madeline Gardner for one more weekend! 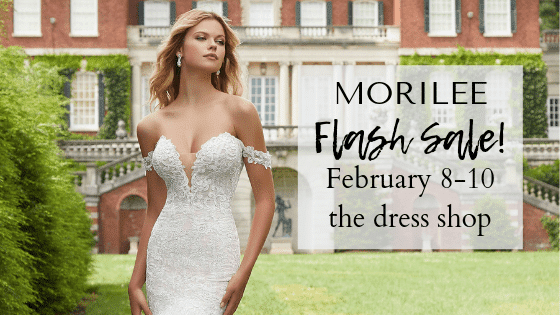 You’ll enjoy special savings and fun surprises when you shop Morilee gowns during this special event.